Scientists have found that, when threatened, a species of silk caterpillar emits a series of audible clicks resembling snapping fingernails. Immediately afterwards theysecrete from their mouths a blob of foul-tasting fluid, which is presumably intended to deter predators such as ants and mice, which avoid foods coated in the chemical. 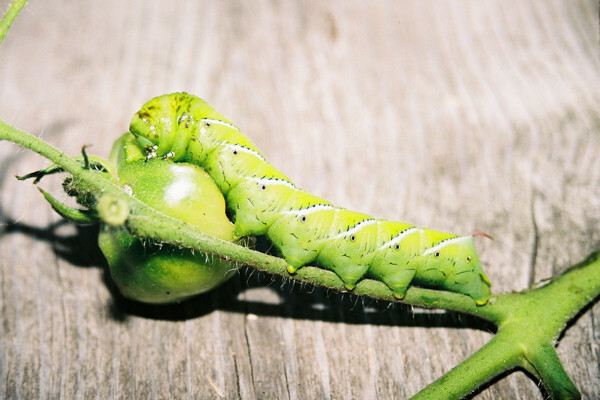 Writing in the journal of Experimental Biology, Sarah Brown, from the University of Ottawa in Canada, found that the caterpillars could be persuaded to perform this defensive manoeuvre in response to unwanted attention from domestic chickens, or even a phony predator in the form of a pair of tweezers. She thinks that the caterpillars resort to an audible warning so that they need not resort to the usual form of deterrent - bright colouration. This means they can remain camouflaged from "casual" predators, but then broadcast their unpalatability if they are detected. Why is my Buffalo external HDD creating files that don't exist? Can terrorism activity trigger our collective consciousness?